At Bad Axe Throwing, we pride ourselves on hiring just the right fit for an expert axe throwing coach. We look for awesome people who are outgoing, natural leaders, have great energy, and a little bit of edge. 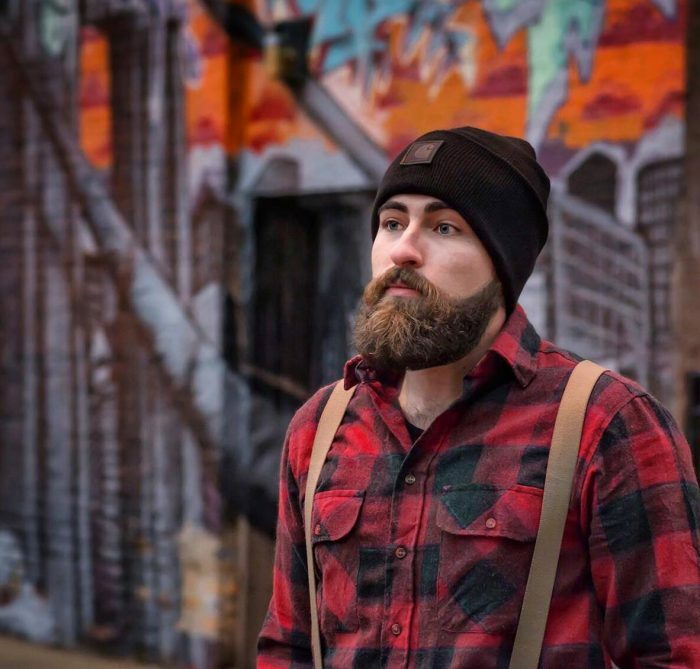 Meet Coach Cody Baker from Chicago – our beard aficionado and creative soul. I joined the Bad Axe Team in February 2017. My favorite part of working at Bad Axe is when groups get really competitive with each other. When the games are close everyone ups the intensity and it makes for an exciting atmosphere. My favorite event memory was when a person who had been struggling the entire time to just stick the axe in the boards ended up winning the game with a 10-pointer for their team. Everyone went crazy; they picked him up and cheered his name. When I’m not throwing axes I’m usually doing something creative to promote my beard care line Daddy Beards. I do tons of photo shoots with models, film promo videos, and create custom graphics for the product packaging. My hidden talent is photography, which is my full-time profession outside of axe throwing. I was on a hidden camera tv show called the Carbonaro Effect. It was so random and weird. I really enjoy doing anything creative, whether it be photography, graphic design, videography, etc. I can’t wait to visit New Zealand. I fell in love with its beauty watching Lord of the Rings as a kid. I’m working on behind-the-back. I think I’ll add some fire or explosives to it to make it interesting. And there you have it – Chicago’s very own bearded lumberjack, Coach Cody Baker. Get to know more of our expert axe throwing coaches on our blog at Bad Axe Throwing! Looking to try axe throwing in Chicago? Book with us today – spots fill quickly!